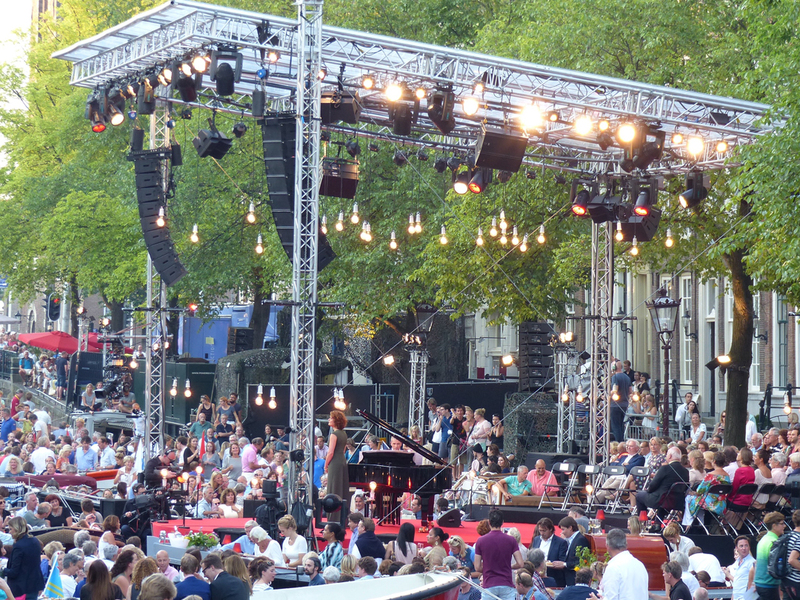 Preparing and assembling for the Prinsengrachtconcert. 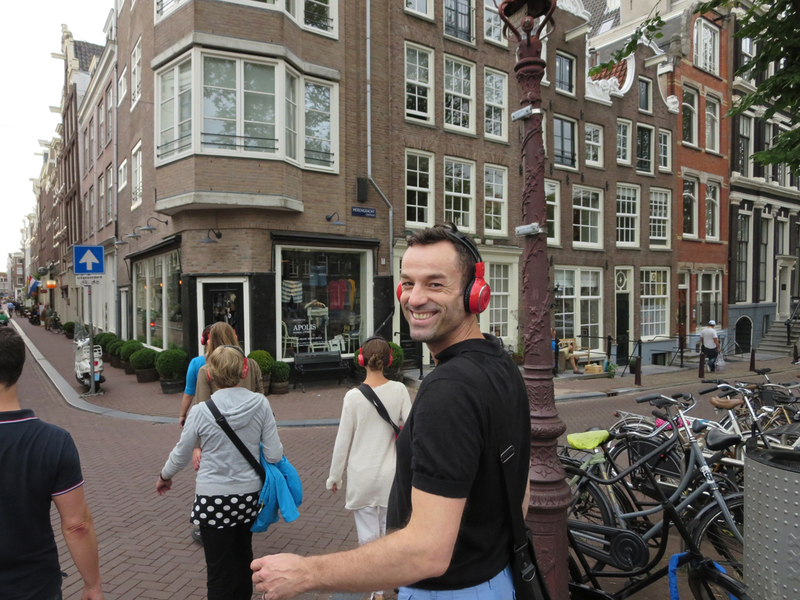 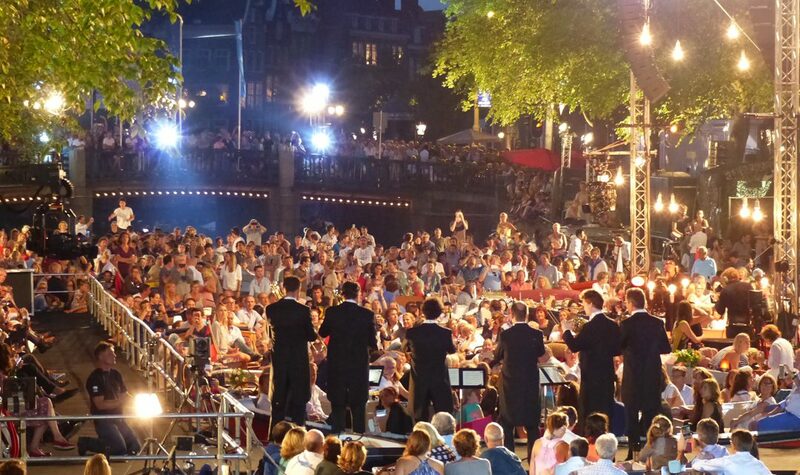 Musical performance tour around the canals of Amsterdam. 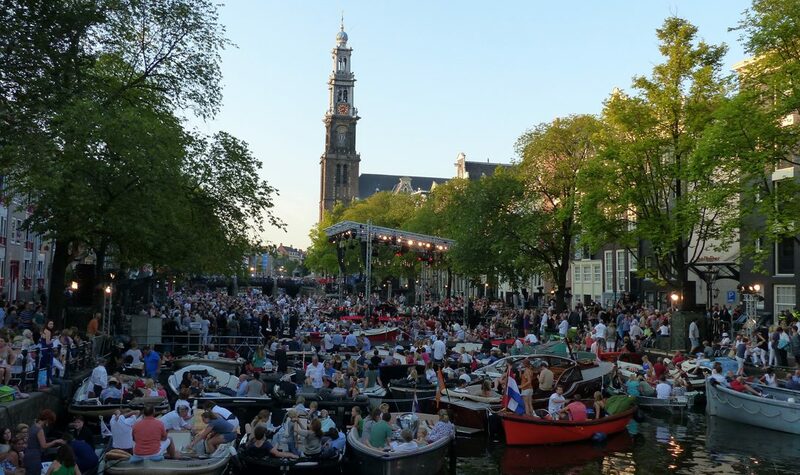 Classical music, water and architecture are the elements for the Grachtenfestival (Canal Festival), a 10-day festival with (classical) music on special locations in the centre of Amsterdam. 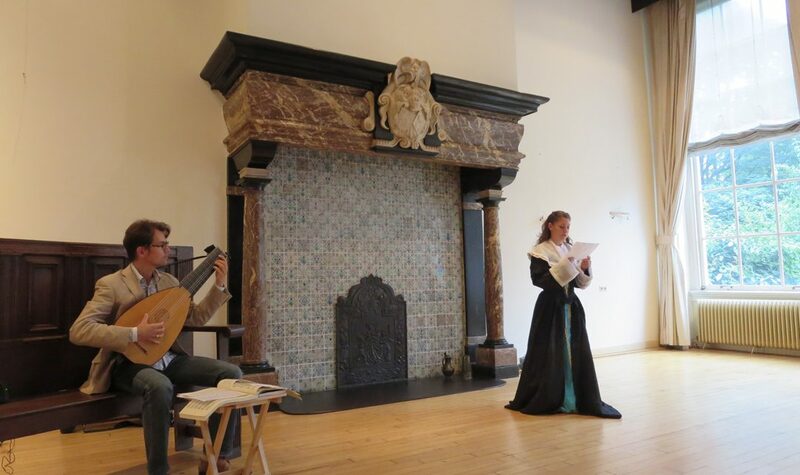 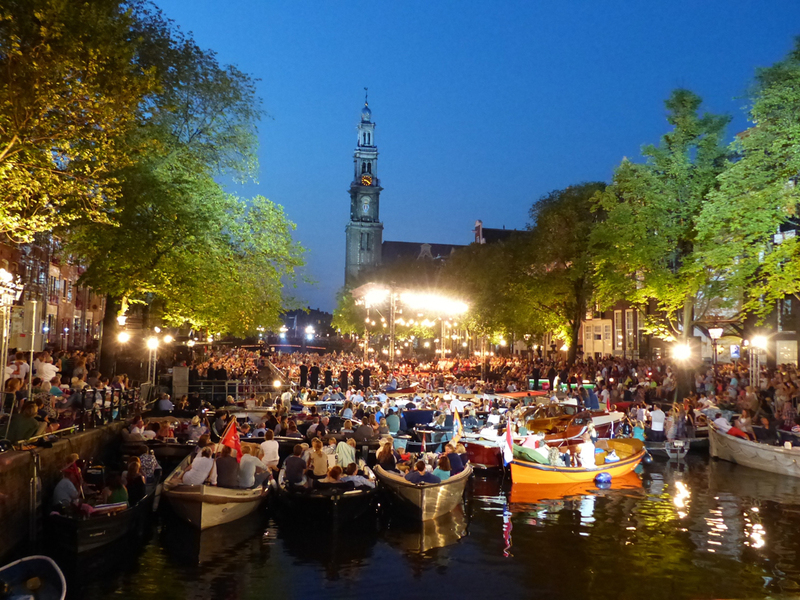 The festival is held both indoors and outdoors – on pontoons in the canals, on boats, in splendid 17th-century canal houses and in many other typical locations. 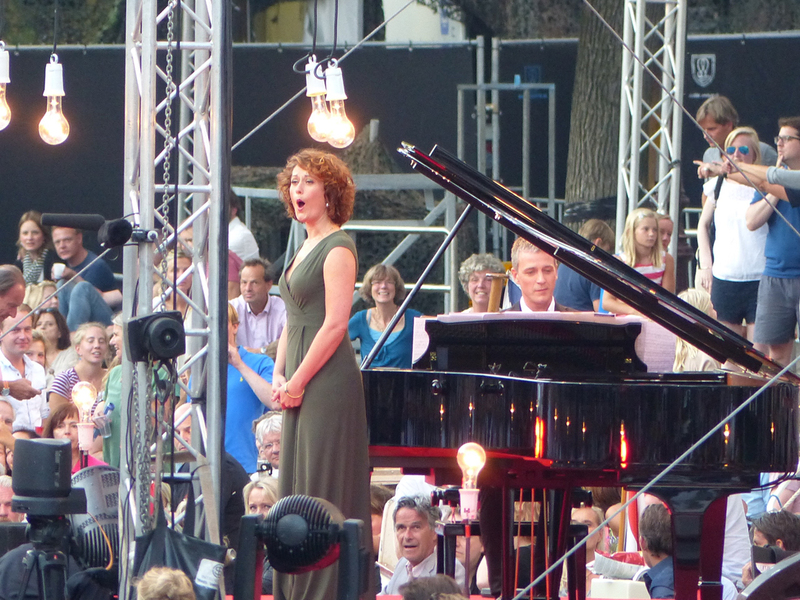 The Grachtenfestival is also a stage for young talent. 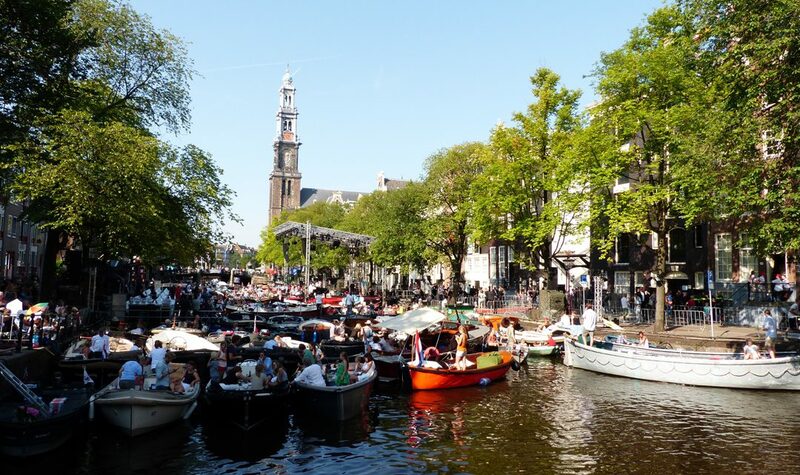 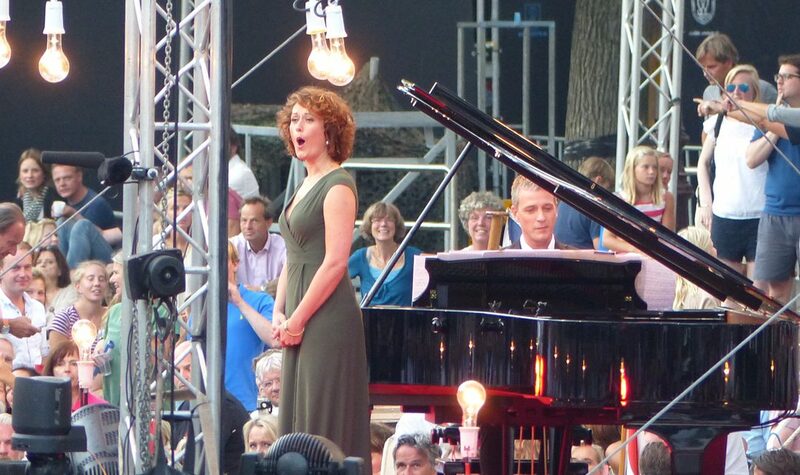 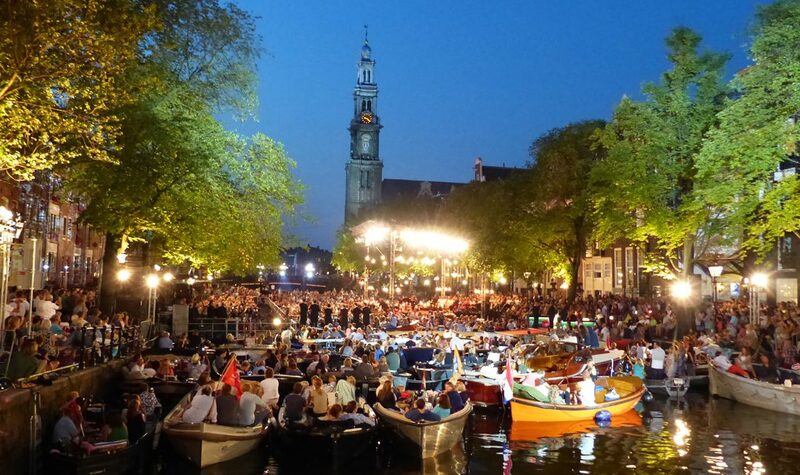 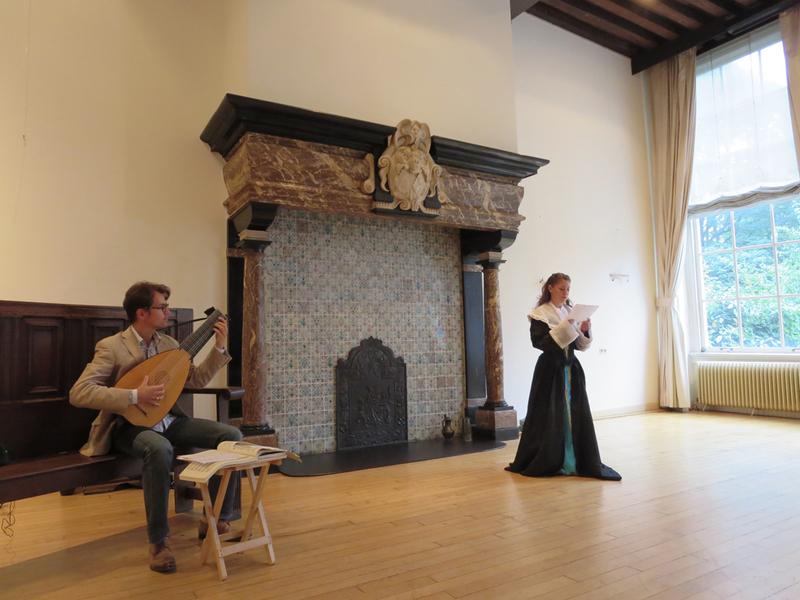 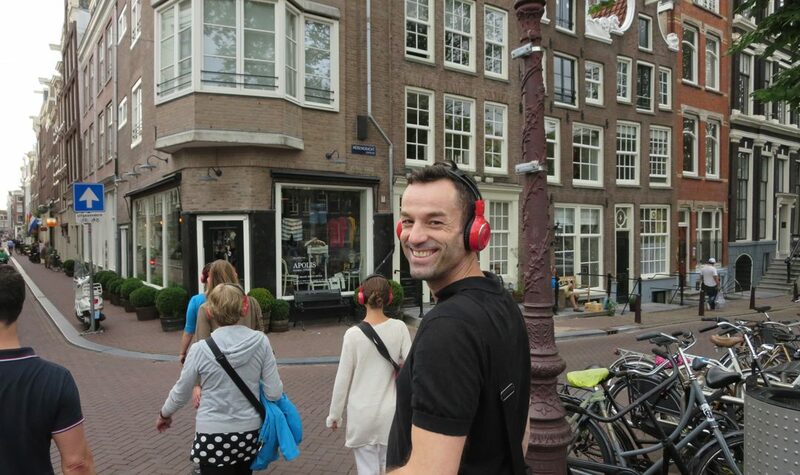 One of the highlights of the festival is the Prinsengracht concert in front of Hotel Pulitzer, on the Saturday. 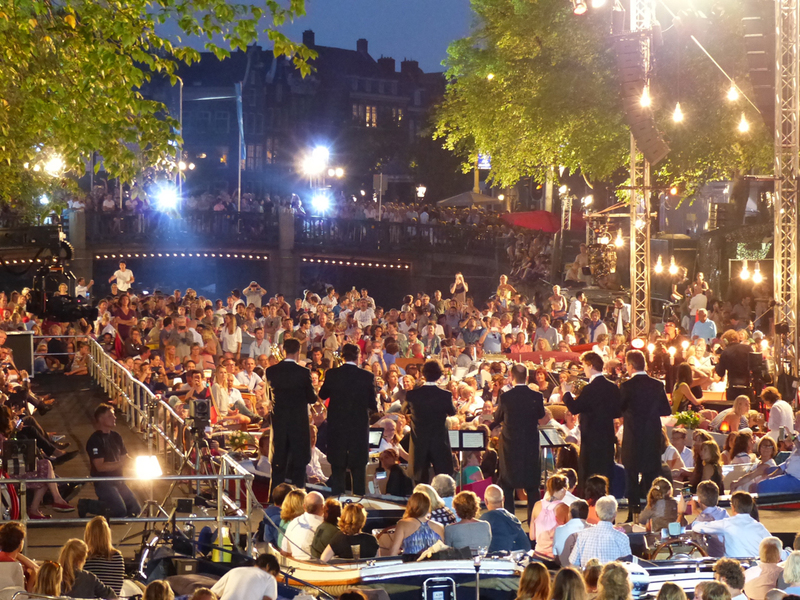 Stunning musical performances in spectacular settings. 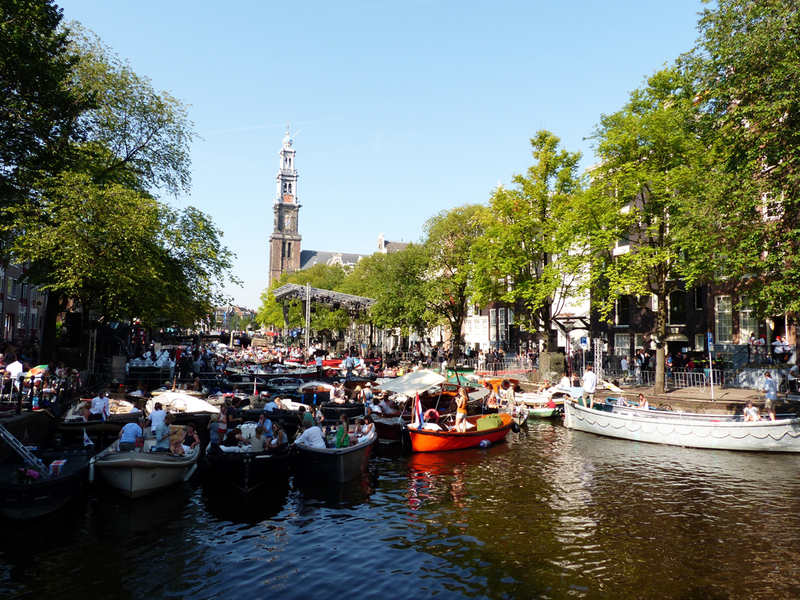 The locations – which stand out because of their special or monumental architecture and cultural and historical value – are spread out over the city. 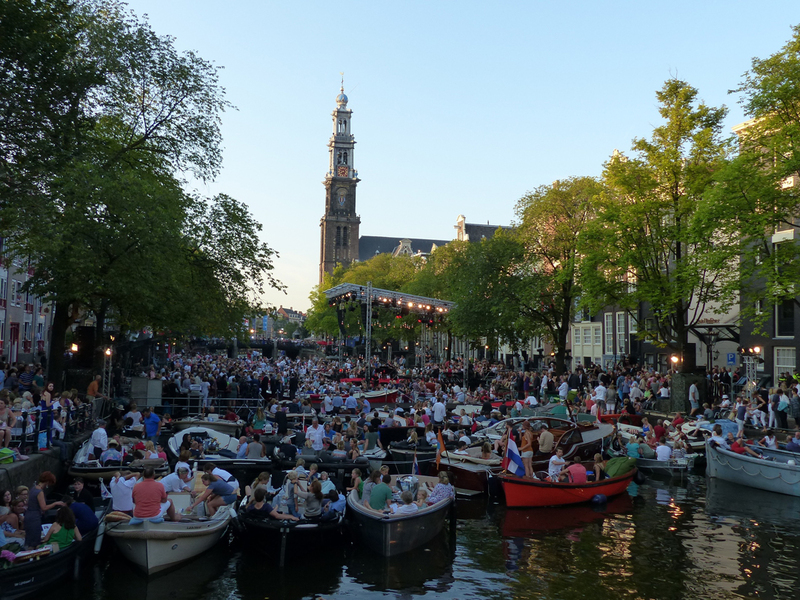 Not only the canals form the stage for various (classical) music performances, but also the waterfront of the river IJ. 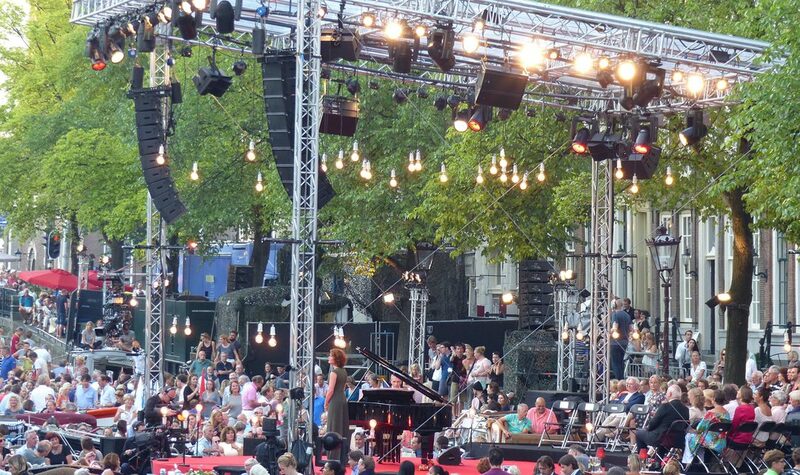 The organisers ensure that ticket prices are kept affordable, and several open-air concerts are free to the public. 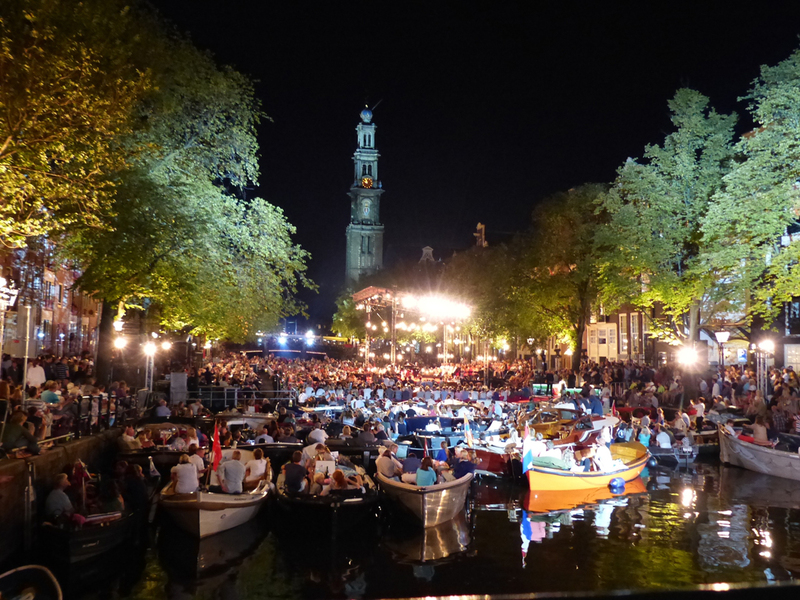 Tickets for the Grachtenfestival are available via the Grachtenfestival website or at the AUB Ticketshop. 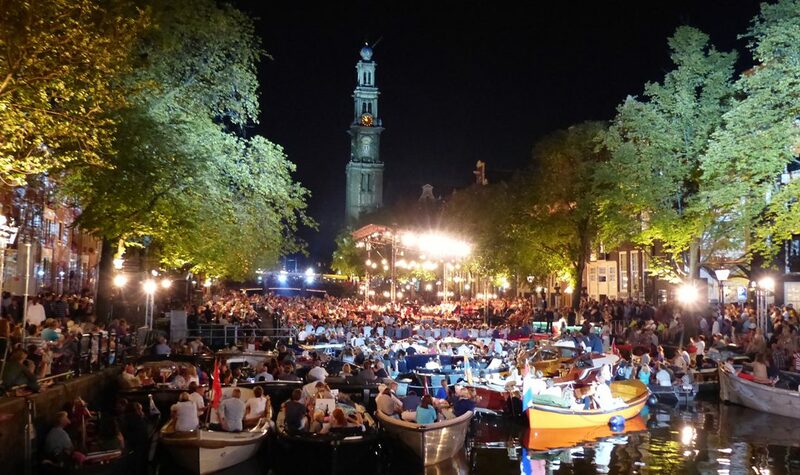 We think that the mission of Het Grachtenfestival to offer a podium to young musical talent, at least deserves a 1-rating for Human/Social consciousness.